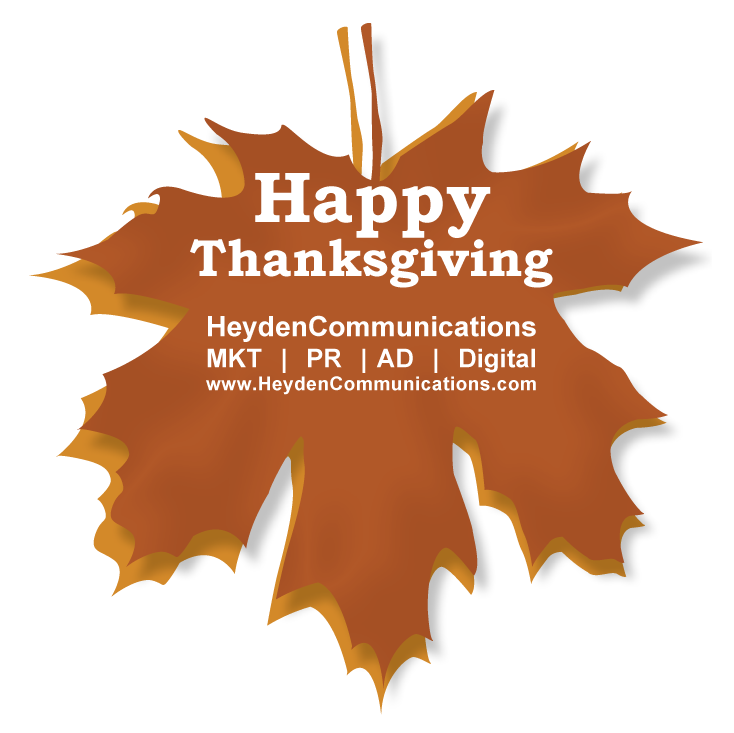 As we head into holiday season, Heyden Communications would like to give thanks and show appreciation for all our clients, partners and supporters. Please take a moment to reflect on the origin of Thanksgiving Day with its roots in giving thanks for the blessing of the harvest and of the preceding year. Learn more, spread the word (#GivingTuesday), give back and spread cheer this holiday season! Have a safe journey traveling to friends and loved ones, give thanks for all that you have, give back, show charity and enjoy a piece of pumpkin pie for us! Heyden Communications, is a boutique firm specializing in integrated communications, marketing, public relations, advertising, digital media, strategic planning and consulting.